3D Vision research at MICC is conducted mainly in Lab 1. The research focuses on the theoretical aspects and applications of computational vision. Our interest lies in proposing new solutions, algorithms and implementations for solving high level visual recognition and reconstruction problems such as object and scene understanding as well as human behavior recognition in the complex 3D world. 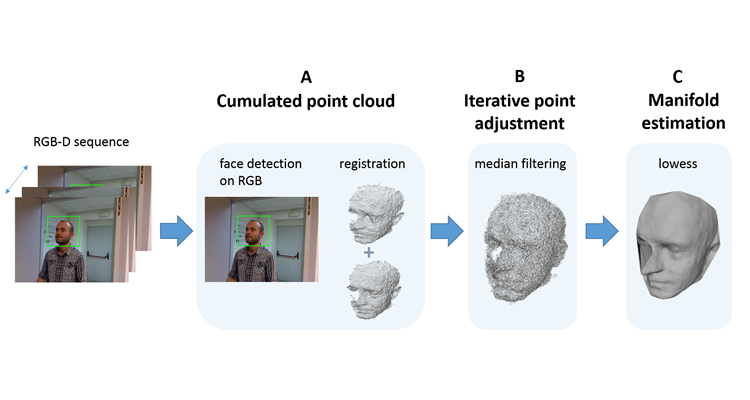 Face recognition across 3D scans with different resolution is attracting an increasing interest thanks to the introduction of low resolution dynamic depth cameras, like Kinect, capable of color/depth acquisition. In this research, we propose a method to construct a higher-resolution 3D face model from data acquired by a low-resolution depth camera, without assuming any particular user cooperation. 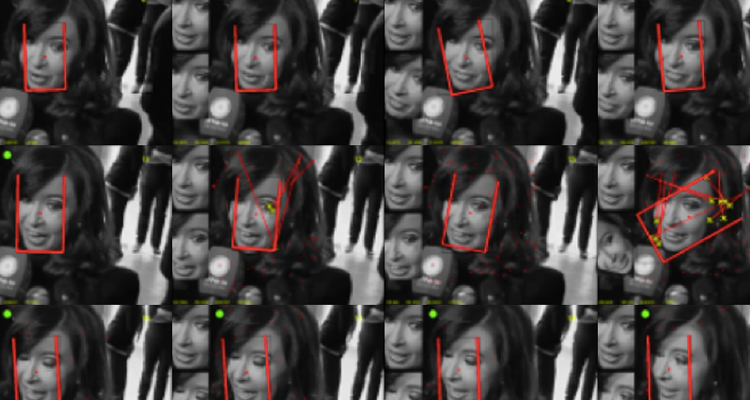 The reconstructed model is used to perform 3D face recognition versus high-resolution 3D scans. Graphics-based Learning Approach Integrated with Vision Elements (GLAIVE) is a project in collaboration with the Information Sciences Institute (ISI). The GLAIVE project is funded by IARPA under the JANUS program and aims at dramatically improving the current performance of face recognition tools by fusing the rich spatial, temporal, and contextual information available from the multiple views captured by today’s “media in the wild”. 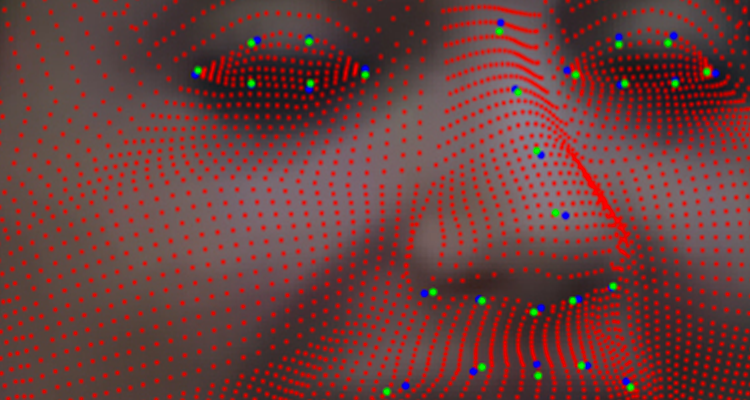 This research project aims at developing a sparse 3D morphable face model (3DMM) to be used in the context of unconstrained 2D face recognition. The 3DMM has the ability of fitting a 2D face image, even in presence of expression and pose variations. The fitted 3D model is then used to perform a face frontalization in order to bring all the faces in the same canonical form.